In recent years the big LEGO-like boxed containers are not only limited to being seen at sea ports; architects have brought them to mainland and adapted for them a variety of uses ranging from high-rise apartment blocks in Melbourne and student housing in Canberra to the Guzman Penthouse addition in Manhattan. 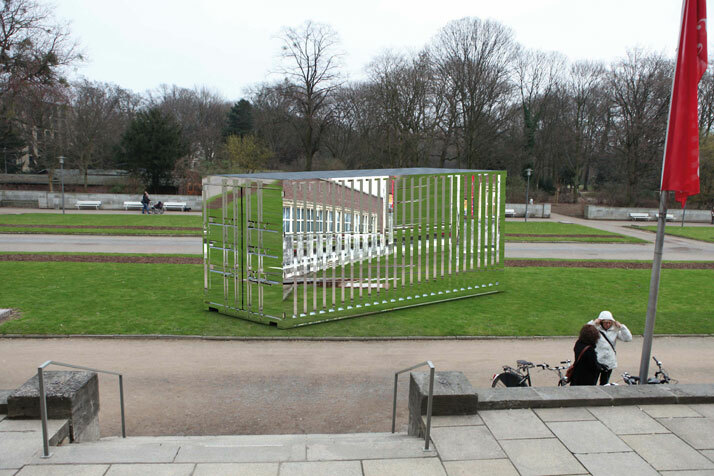 Berlin – June 2011, the NRW-Forum Düsseldorf, invited renowned architects, designers, and artists from around the world to submit designs for container architecture. With an overwhelming response, and with new and already existing designs, the models were reconstructed on a scale of 1:5 for the Container Architecture Exhibition. More than 100 designs were submitted for consideration and every one of them will be included in a frieze of pictures running around the walls of the exhibition space; 24 were reconstructed, the tallest scaled model pierces the museum’s ceiling. But what triggered the creation of this exhibition; why containers? In the globalization era containers are seen as a symbol to forecast the whereabouts of the economy; empty container ships indicate a downturn; fully loaded container ships—or orders for new, even bigger ships—are euphoriant symbols of better times. However, the Container Architecture Exhibition honors the significance of the empty container which offers diverse possibilities. 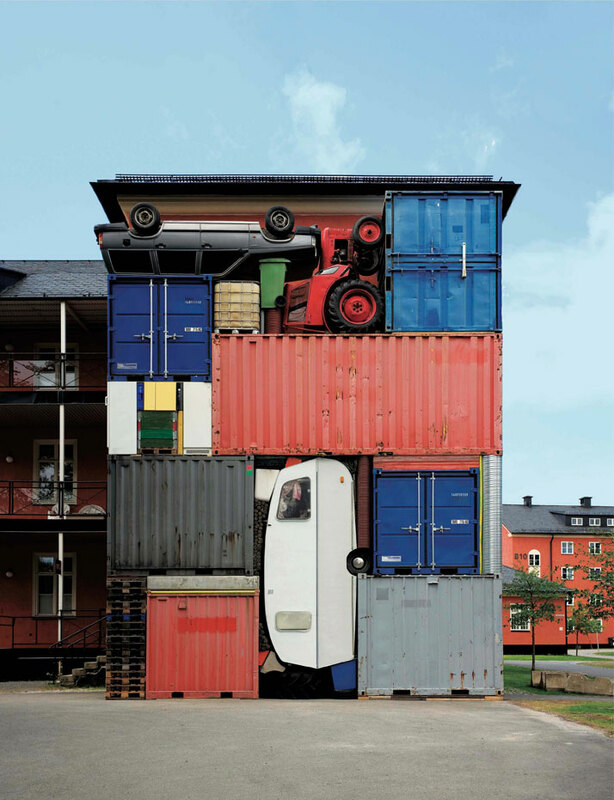 According to exhibition organizer Werner Lippert, ‘containers are a symbol of the way we live and dwell in our globalized, mobile, nomadic age,’ and also quoted ethnologist Hartmut Böhme, who described the container as a ‘fetish of the modern age’ that stands for cataclysm, mobility, and change.’ However, a container is more than that; it is the building type of the future; the addition, the new urban object of modern architecture. Originally used nearly 60 years ago in ships as a method of standardized shipping, containers remain a hugely popular means of transporting goods around the globe. The container itself, which is 2.44 meters wide, 2.59 meters high, and either 6.06 or 12.192 meters long, has been the globally standardized transportation unit since 1956. Thirty million of them can be found on the seas and oceans of the world. 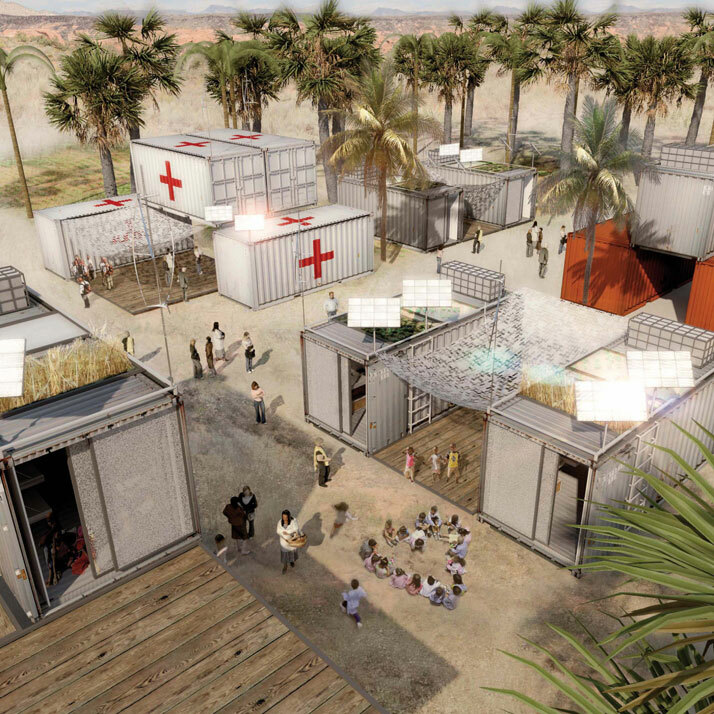 Today, the container is also a foundation of allure for numerous architects as they create entire student residences, prize-winning homes, and cruise terminals. They are perched as penthouses on New York rooftops or as parasitic architectural works on the roofscape of San Francisco. Piled on top of each other to create residential buildings in London or high-rise apartment blocks in Melbourne; designers are transforming them into mobile homes or stunning holiday homes. 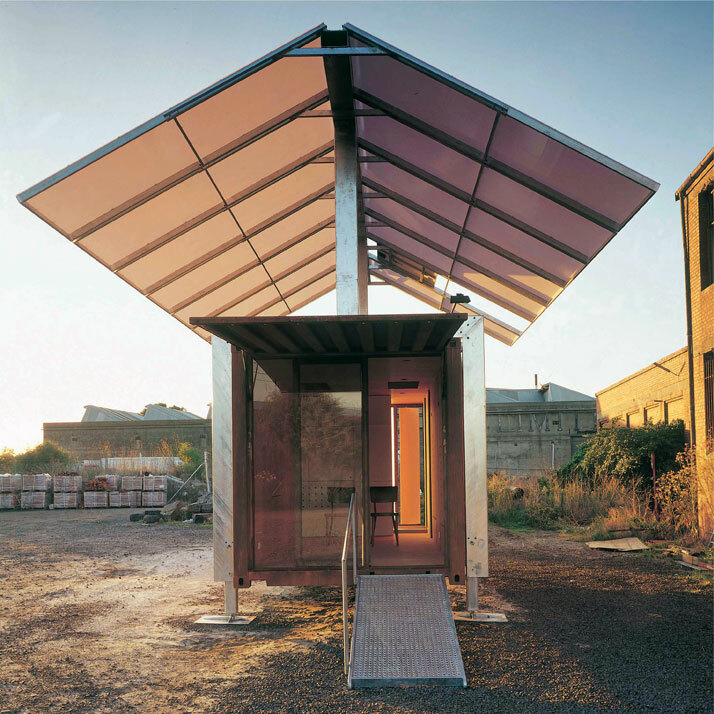 As a micro-house, as a building that can provide accommodation at short notice when homes are in short supply or during catastrophes, as a temporary building, as a travelling brand store. Such as Puma City which has travelled around the world. Furthermore, they are used in art as a walk-in sculpture that doubles as a bridge over a river. 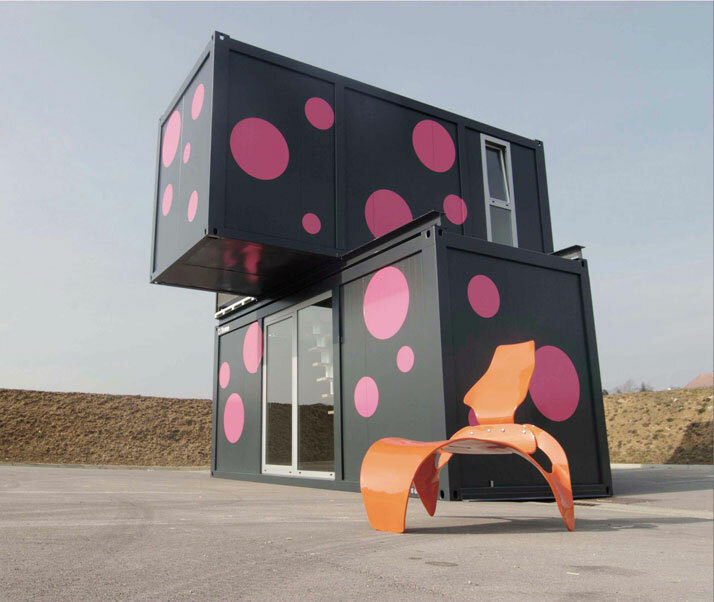 Identical, robust, stackable, inexpensive and available all over the world containers are easy to erect and dismantle, sustainable and much more... 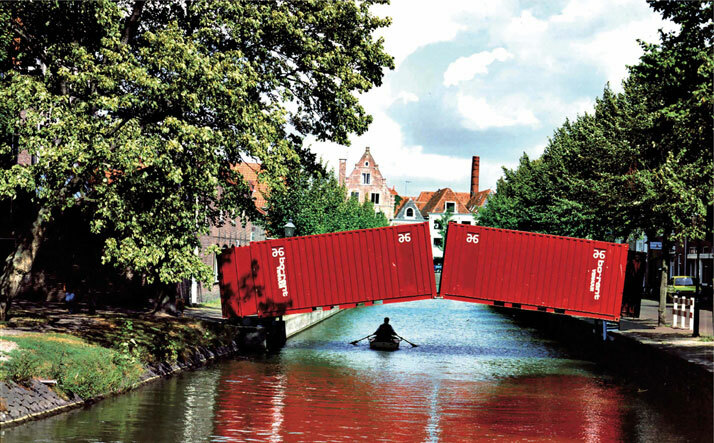 The Düsseldorf exhibit leaves no doubt that, with some imaginative effort, an empty shipping container can be much more than a symbol of a struggling or a prolific economy. 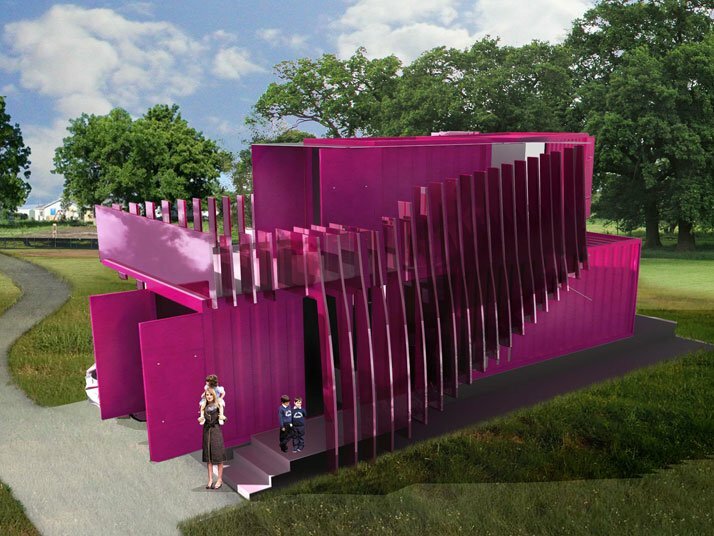 The Container Architecture exhibit, highlights the creative potential of the container and its unique ability to serve eclectic contemporary lifestyles. 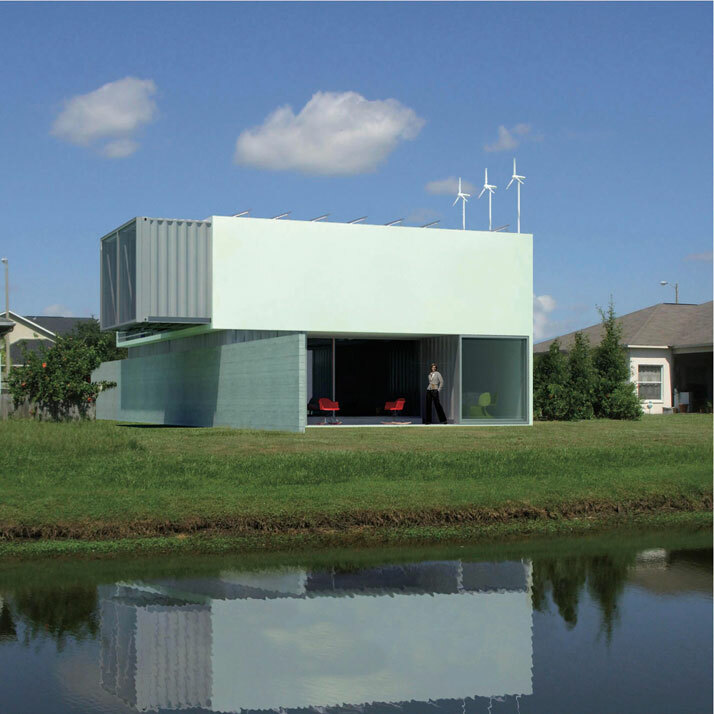 It is no wonder, therefore, that architects, designers, and artists in all four corners of the globe are excited by what containers have to offer. 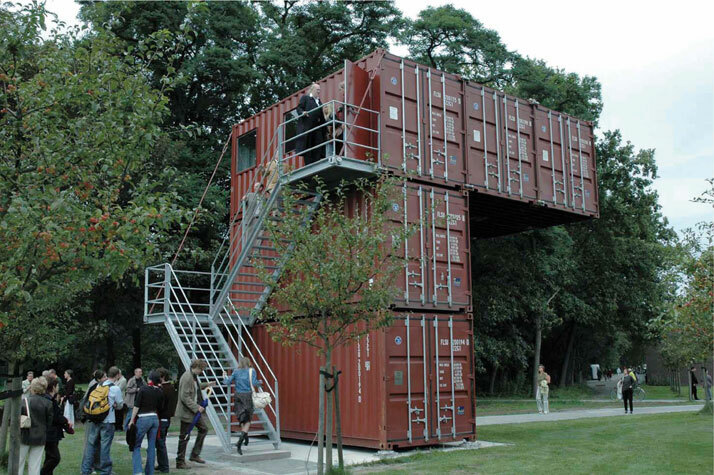 The ‘Container Architecture’ exhibition at the NRW-Forum Düsseldorf aims to offer a fascinating overview of what is possible. 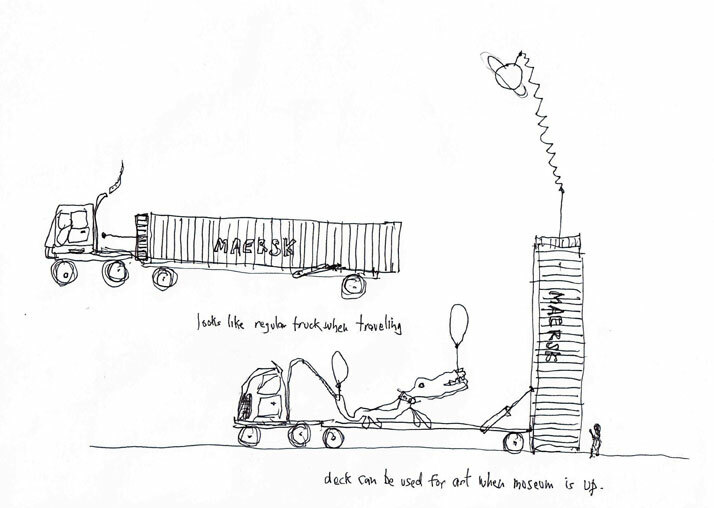 … In short, the container is an idea with a promising future. 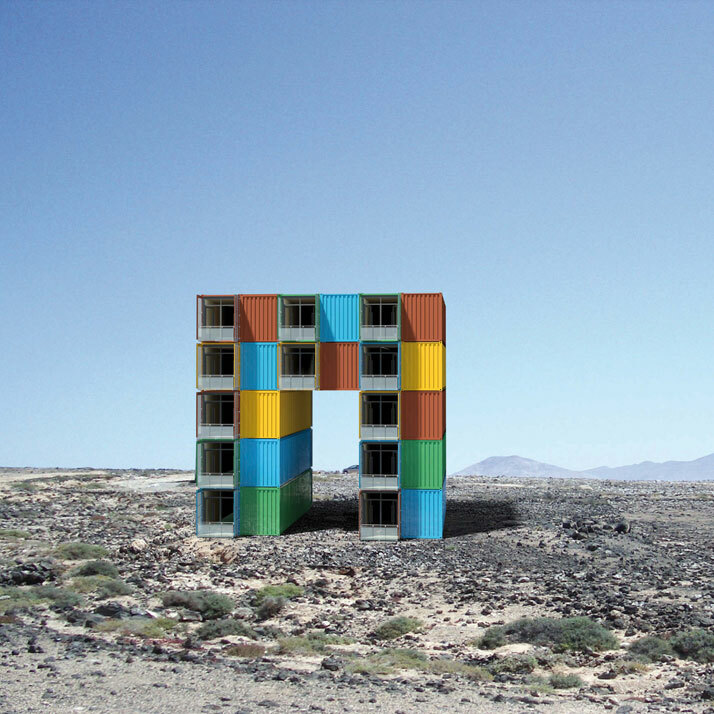 To coincide with the exhibition, the Chamber of Architects in NRW will be organizing a series of lectures on containers and architecture by renowned experts. 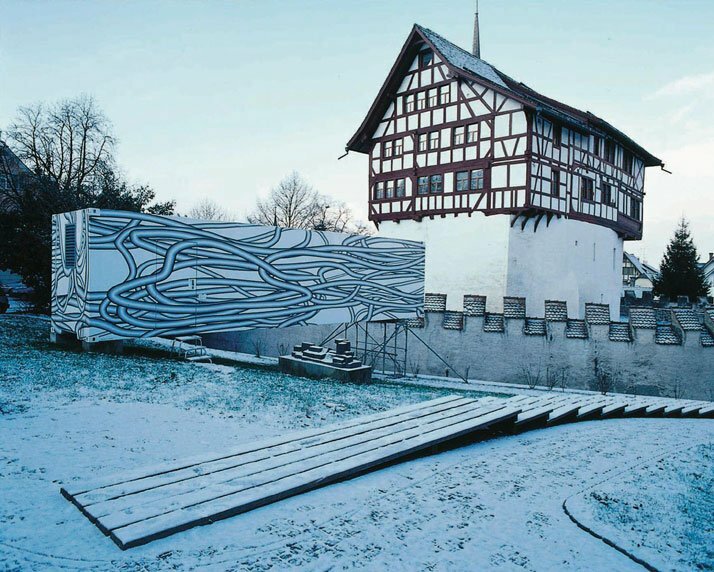 The exhibition is supported by the Ministry of Economics, Energy, Building, Housing, and Transport of the state of North Rhine-Westphalia and by the Initiative Stadtbaukultur (Urban Building Culture Initiative).